The main responsibility of the Hamilton Police Service’s Community Mobilization Division (CMD) is to assist in providing public safety in the most effective and efficient manner and to assist with the reduction and prevention of crime.These strategies are provided by the specialized units within the Community Mobilization Division. The A.C.T.I.O.N. Team is a proactive and preventive unit made up of up to 40 foot and bike patrol officers. They are deployed to the areas of the city with the most violent crime and disorder issues. The Hamilton Police Auxiliary Unit is a volunteer opportunity to work alongside patrol officers. The unit has 88 volunteer members and one Constable who oversees the Unit as the coordinator. Auxiliary officers assist with RIDE lanes, special events, crime prevention, and bike patrol. The Bail Compliance Unit (BCU) is a crime prevention strategy that holds offenders and sureties accountable. The BCU actively monitors the offenders to ensure they are adhering to the conditions imposed upon them by the courts. Community Policing Centres are intended to provide the communities with conveniently located reporting centres. There are over 200 dedicated volunteers who contribute their time to assist with proving awareness and safety through crime prevention programs such as Red Light Runner, Speed Watch, car seat installation, Child Identification, and Somali Homework Circle to name a few. Community Relations Coordinator is responsible for the strategic and operational direction of diversity and inclusion in partnership with the Service and the communities we serve. The Crime Prevention Unit (CPU) takes on the wider goal of working in partnership with our communities to develop and implement programs that promote safety and positive relationships throughout the community. Crime Prevention is closely tied to Community Services in providing quality service and information to the public. Crime Stoppers is an anonymous citizen participation program that works to help stop, prevent, and solve crime. Crime Stopper tips are anonymous and are utilized as an investigative tool to assist in furthering positive outcomes of investigations. Crisis Outreach and Support Team (COAST) is a partnership program with St. Joseph’s Healthcare and the Hamilton Police Service and serves the residents of the City of Hamilton who have serious mental health issues and are in crisis. COAST is a multidisciplinary team consisting of child and youth crisis workers, mental health workers, nurses, social workers and plain-clothes police officers. 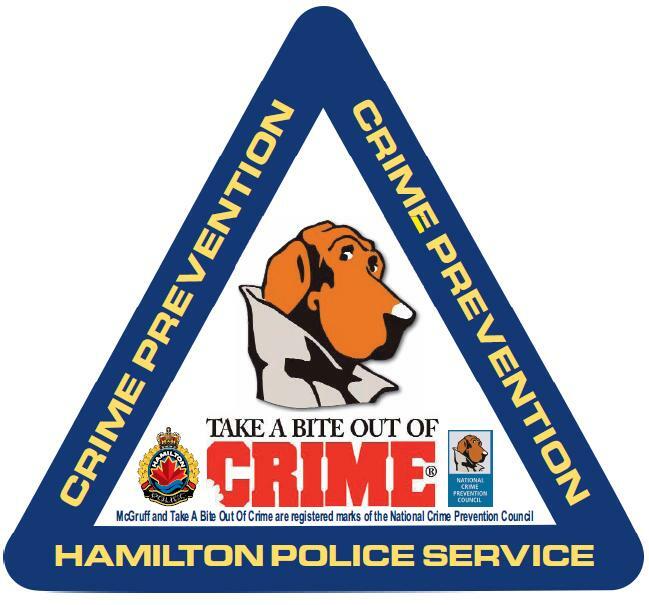 The Social Navigation Program (SNP) is a partnership between the Hamilton Police Service and Hamilton Emergency Medical Services. The program connects and supports individuals through a referral process by engaging all social and healthcare agencies in the City of Hamilton. The goal is to reduce the reliance on the judicial system by navigating individuals with negative police contact toward the appropriate social service agencies while improving health, safety, and quality of life for all citizens. Mobile Crisis Rapid Response Team (MCRRT) is a partnership program between St Joseph’s Healthcare and the Hamilton Police Service. The program provides a front line immediate response for those people in our community that are in crisis. It pairs a Mental Health Worker from St Joseph’s Healthcare with a patrol officer to provide a quality response to those in crisis or suffering from a mental illness. The Industrial Relations Coordinator is responsible to for liaising with management and organized industrial labour unions during the course of industrial labour disputes. The Coordinator reports to the Community Mobilization Commander and notifies the Divisional Commander of the affected Division(s) or Duty Officer, and provide each with general information relating to the dispute and the contact names of the management and union representatives. The Mounted Patrol Unit (MPU) is a crime prevention program that through the use of horses maintains high police visibility, communicates with the public and BIAs. The Mounted Unit has been effective in community event crowd control and protest movements as well as in search and rescue missions. The Victim Services Branch (VSB) is the only 24-hour on scene crisis intervention service for victims of crime and trauma in the City of Hamilton. The Unit responds to the immediate needs of people who have been victimized by crime and or trauma such as homicides, suicides, sudden death, assaults, sexual assaults, domestic violence, motor vehicle and fire fatalities, robberies, and harassment. The Unit is staffed by civilian members and specially trained volunteers. Youth Services Coordinator reports to the Inspector in charge of Community Mobilization and is expected to review new ideas, participate in design, facilitate development and implementation, monitor and evaluate existing initiatives. This role is also expected to coordinate Divisional Youth Officer initiatives. Second, the Coordinator is to be the Services Youth Criminal Justice Act expert and authority on youth serving agencies that would lend to meaningful partnerships. Third, the Coordinator is a spokesperson for HPS youth service delivery.